Naturopathic Foundations: Are Environmental Toxins Causing your Joint Pain? Naturopathic Foundation's blogs are written by naturopathic doctors that work at Naturopathic Foundation's Health Clinic in Markham, Ontario. The blogs provide detailed information on how to prevent and treat disease. 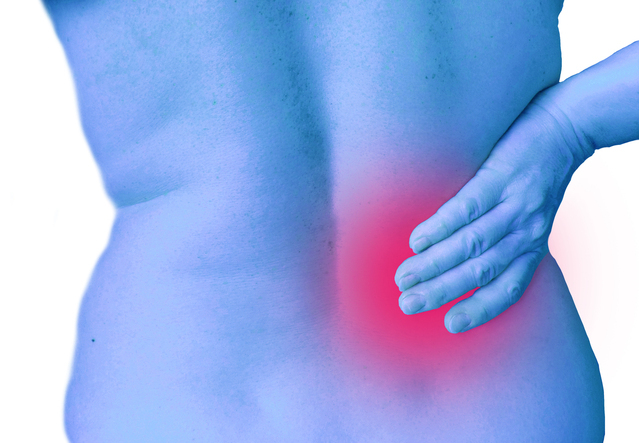 Are Environmental Toxins Causing your Joint Pain? If you are suffering with joint pain, you are not alone - many Canadians are struggling with osteoarthritis, knee pain, rheumatoidarthritis, back pain, sports injuries and more. However, just because joint pain is common, it doesn’t mean you have to live with it. Pain is your body’s way of indicating that there is a problem that needs to be addressed. Getting to the root of your joint pain is the first step towards finding relief. There are a number of causes of joint pain. There is a natural wear and tear of the joints that happens as you age, but there are also a number of other factors that can affect a person of any age including: postural issues, nutritional factors, chronic dehydration, infections, trauma that has not properly healed, etc. One of the causes of joint pain that is often overlooked is the impact of the ever-increasing toxins in our environment. Environmental toxins are often associated with chemicals in the outside environment, such as in industrial or polluted areas. However, your home is one of the most common sources of toxin exposure. Whether it is fabric softeners, pesticide-ridden produce or personal care products, you are constantly exposed to toxins. When toxins such as lead, mercury, cadmium, radon, formaldehyde, benzene, parabens, xenoestrogens, and pesticides enter your body at a faster rate than they can be detoxified and eliminated, they can deposit in tissues and initiate inflammation. It can take many years for toxins to accumulate before you start noticing symptoms of chronic joint pain. If you are experiencing on-going symptoms such as joint and muscle pain, stiffness, swelling and fatigue, toxic elements may be contributing factors. For example, heavy metals can deposit into the joints leading to inflammation in the joint space, or heavy metals can replace essential minerals needed for bone and joint strength. Understanding your constitution (body/mind type) plays a role in understanding weaknesses in the body and why certain parts of the body are affected more than others. Autoimmune conditions can also be a major cause of joint issues, and identifying food sensitivities triggering an immune response can be very beneficial in reducing joint pain. However, additional factors in food such as pesticides, heavy metals and other chemicals are often overlooked and can be playing a larger role in joint health than previously thought. You can reduce joint pain by eliminating chemicals in your surroundings, improving detoxification and supporting elimination. Decreasing your level of toxicity under the guidance of a naturopathic doctor in addition to self-care can not only reduce joint pain, but improve overall musculoskeletal health and improve general vitality. Heavy metal or environmental toxin testing can be done through your naturopathic doctor. Relevant blood work to determine the impact of environmental toxins, such as the GGT test. Reducing toxins at home (switching to natural cleaners, detergents, personal care products). For the average person, environmental toxins enter primarily through food and water, and through household products. The harmful impact of household cleaners and skin-care products is largely underestimated. If you are struggling with joint pain, going chemical free at home is crucial to improving your health. Switching to organic, non-GMO meat, dairy, fruits and vegetables, especially the ones with consistent high pesticide residues such as: apples, strawberries, celery, peaches, green peppers and spinach can help you experience significant improvement in joint pain. Adequate liquids: as joints are made up of fluid, drinking enough clean water helps keep them lubricated. Joints also need healthy fats such as fish oil which not only help reduce inflammation but keep the joints mobile. Speak to your ND on which oils and how much are best for you. Individualized detoxification program (which may involve diet, supplements, herbs, acupuncture, homeopathy and Ayurvedic therapies). Many people believe that there is not much they can do about their joint pain and they have to just live it. However, joint pain is not something that you have to live with, at any age. If you have addressed issues such as wear and tear by lifestyle, diet and joint supplements, and you are still struggling with join pain, then you need to look into other contributing factors such as environmental toxins. Speak to your naturopathic doctor if you have joint pain and would like to discuss how to address it naturally. Dr. Leena Athparia is a naturopathic doctor at Naturopathic Foundations with a focus in musculoskeletal conditions related to aging, metabolic issues and chronic disease. If you are experiencing joint pain, please call the clinic at 905-940-2727 to book an appointment with Dr. Athparia. © 2012 Naturopathic Foundations. Simple theme. Powered by Blogger.